Welcome to my Etsy Lounge, where I escape my studio to reflect on the artisanal life, the Etsy marketplace, and artistic inspirations. When I dash out the door, I want a jacket or vest that looks good without any fuss -- something I can throw on, quickly button or just let it hang. I kept that criterion in mind this morning in my Etsy search for autumn wraps to layer over daily clothes and kick up the look enough to run errands, meet friends for lunch or run out to dinner. Today's showcase features a variety of handmade styles that are trendy yet classic and collectible, comfy and so easy to wear. Click on the pictures to go directly to these Etsy listings. Prices range from $48.00 to $200.00. These are all beautiful! I, too like something that looks good to just throw on. Too often that's a jean jacket - not the best look. These are great though. That orange jacket is adorable! I agree with you, bagsofblessing, that these would all look great with jeans! 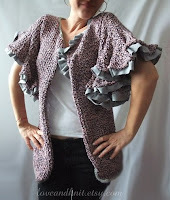 The orange vest and ruffly-sleeve cardi are great for indoor wear, too. I can see them being perfect for going to a casual dinner party. Wow!!! love all of them!!! Thank for featuring my Mia cardigan!!! 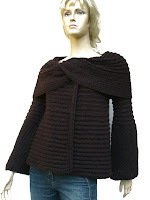 These cardigans are so stylish and fun, and sure to take the basic jeans up to a classier level. You have the best picks in your blog, Andrea! I think you should have put your Assymetrical Wrap in this line up! One of my favs, but I see that its sold. Great blog! 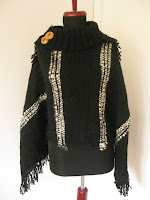 Hi Andria, a very tasteful blog of very varied items, all of which are stunning! 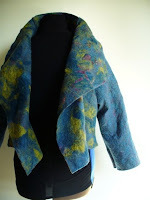 Thank you for featuring one of my handmade garments.. All the very best from France! *EtsyLounge is an independent blog. All rights of copy reserved for Andria Senini. Awesome Inc. theme. Powered by Blogger.